Simone Simon Talks about Co-design and other key components of fashion collections in the social networks era @ AVANTEX PARIS, on a Panel. 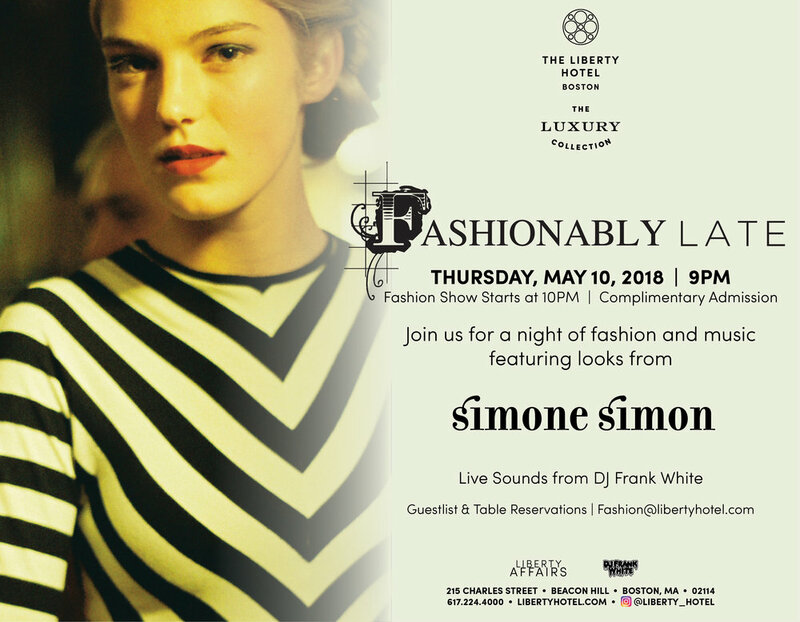 Spring fashion is here at Fashionably LATE from 9pm at the Liberty Hotel, featuring looks by Simone Simon! Join us for a night of fashion and music. (Dj Frank White) . So join us at HUBweek to explore the future being built in Boston at the intersections of art, science, and technology. 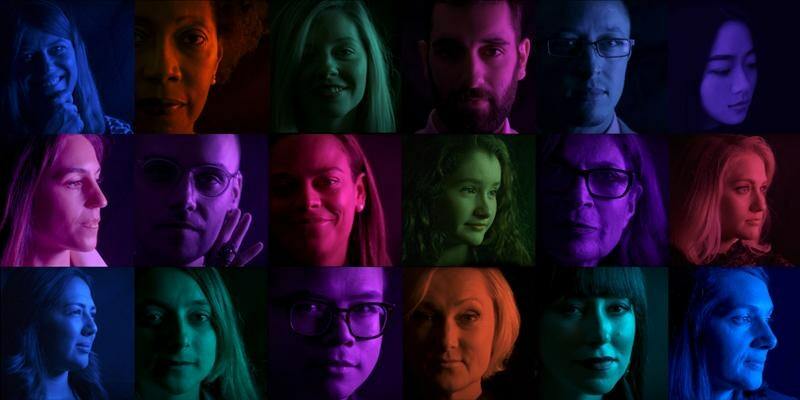 HUBweek will kick off with events taking place all across the city, and land on Boston’s City Hall Plaza as it transforms into The HUB presented by Liberty Mutual Insurance. Filled with 80 shipping containers and 6 geodesic domes, The HUB will feature a multi-day ideas festival, live arts experiences, a massive startup showcase, exhibits, parties and more. Connect with 100+ of Bostons’ most impactful startups, leading innovation labs, and companies. Cambridge Local First invited Simone Simon to be one of the designer on the Runway. 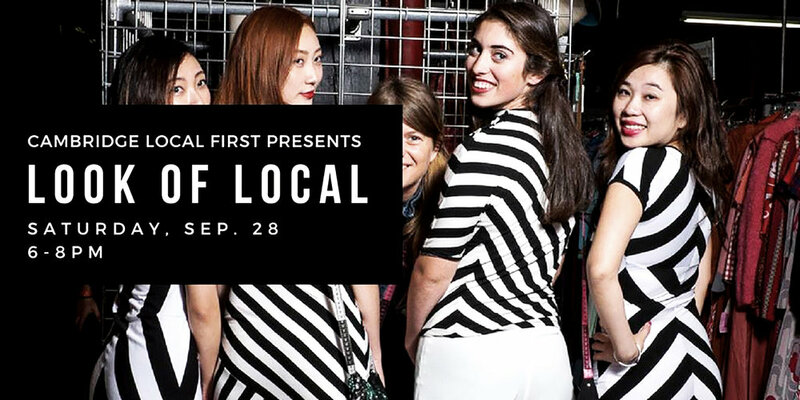 Join us for the third annual #LookOfLocal fashion show! Local fashion, jewelry, and accessory vendors will come together to show their creations and celebrate the Cambridge community at the Garment District . Summer Jam Fashion Show is all for Local Talents in Boston. This year our Local Designers will be showcasing their work. Simone Simon, The Lucky Onez, KadoKele Design, Envieux Clothing, Imperfectly Perfected, Cassandra D'Ann Designs Jessica Catherine Soter Designs Afshan Begum Iragorri Designs and Africanpanther_Designs from MassArt College, Nathalia JMAG from ProjectRunway, and Josefa Da Silva. One thing very particular about this show is all Models will be Barefaced No Make up but Faboulous Hair By Our Host of the Show Muffens International Hair Stylist and Celebrities Hair Stylist. 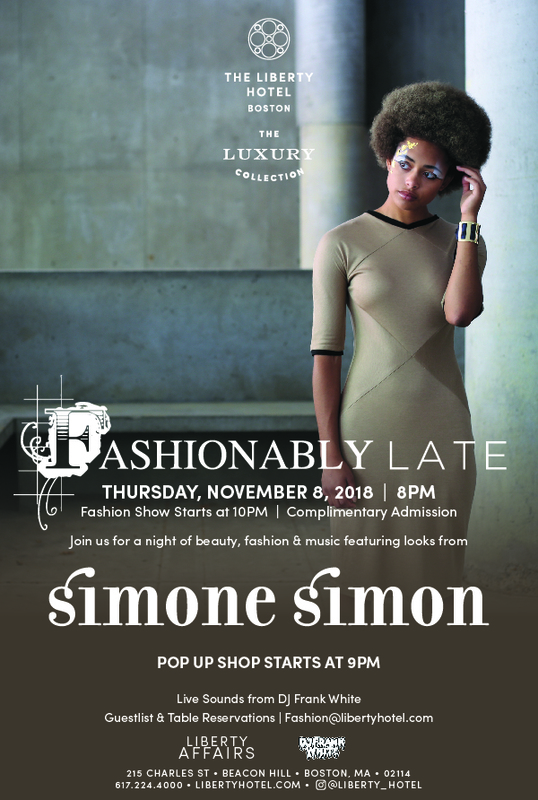 Before July 1st get designer's Tickets : when you choose tikets: scroll to Simone Simon Designs to get $20 tickets! The New you Show (on TV9 Seekonk) invited Simone Simon & models for a talk and walk, about our first collection, the way we use technologies in our production, our story landing as a Iin Boston, building a Boston Brand for the Bostonian woman. Thank You TV9 Seekonk, Chirin Ashkar, for the great interview. On The Steps, right next to Millennium Tower in Downtown Crossing, Boston, we will own the streets for an execptional fashion Runway! Join the Babson Fashion Entrepreneurial Venture Showcase on April 18th, 4pm to 7pm in the Schlesinger Innovation Center, Park Manor West. Join fashion entrepreneurs as they present their designs. 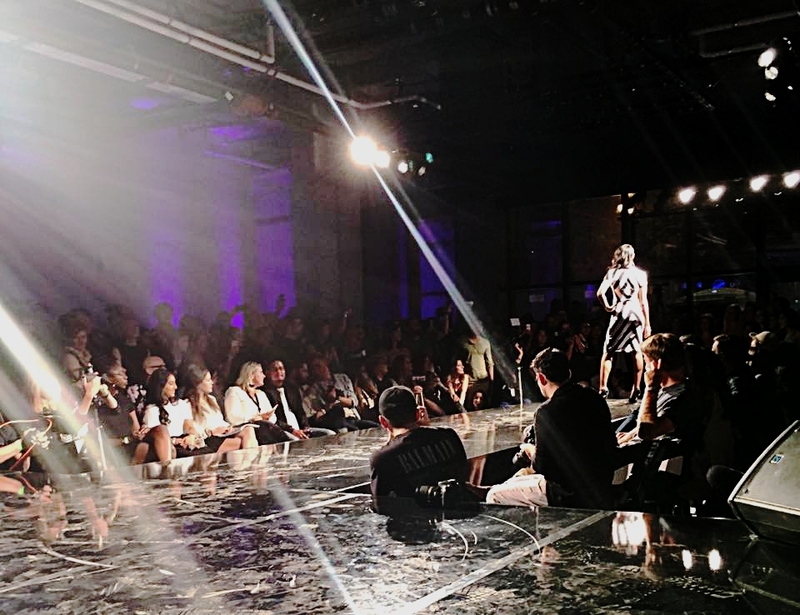 The Fashion Venture Showcase is a collaborative effort of the Arthur Blank Center for Entrepreneurship, the Lewis Institute, Center for Women's Entrepreneurial Leadership, Babson Association of Women MBA's, and the Babson Fashion Group. Admission is complimentary. Boston is named the second-best city in the world for female founders representing 29% of all founders according to Compass. Join us for an evening to discuss, connect and celebrate female entrepreneurship in Boston. Simone Simon was invited to show her collection of stripes for the last Silicon Valley Fashion week in San Fransisco. The Show was presented at Nema, during the SV fashion week. The most fabulous Fashion Event happening in Boston during the summer! 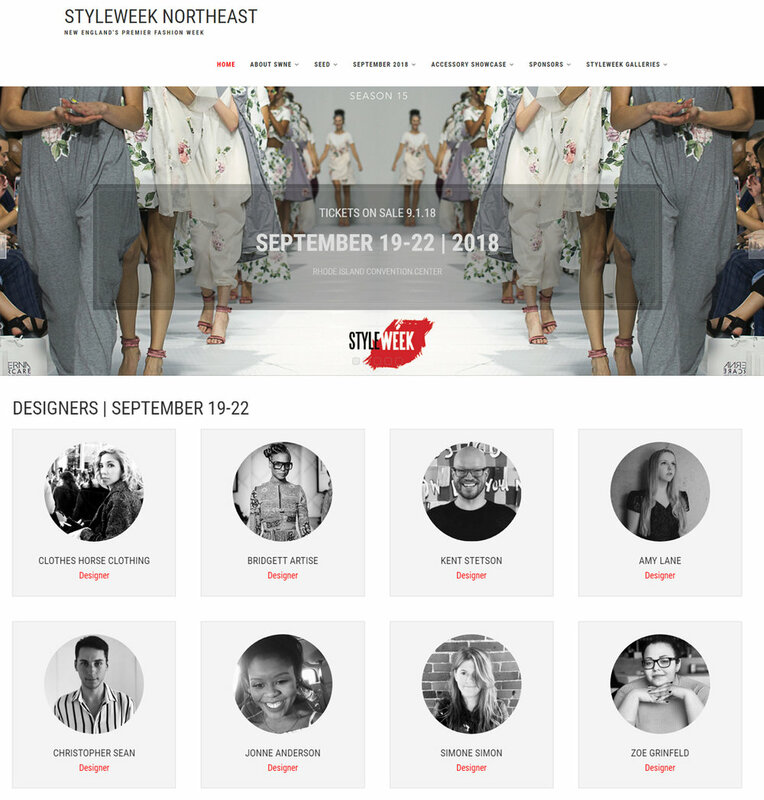 Meet the most unique independent designers in boston, to learn about their designs and their stories ! 1er Prix des Ateliers de Stylisme- jeunes créateurs- de la Ville de Paris - 1st prize at the Young creators exhibition in Paris City Hall. Simone Simon fashion show for the e-fashion awards set in Paris at Le Salon des Miroirs.